Hey there friends! Hope this Tuesday is TERRIFIC! 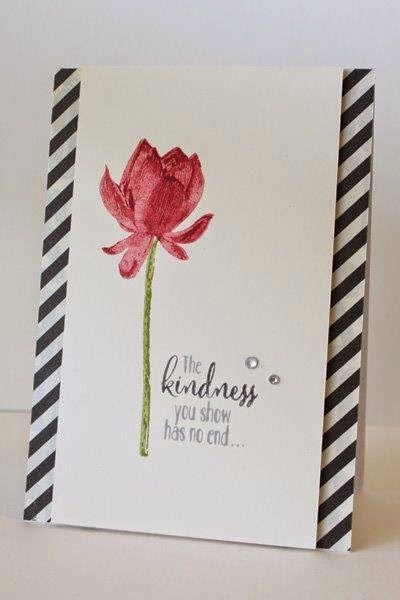 Just checking in with you to share this weeks WEEKLY DEALS and share a quick card made with the Lotus Blossom stamp set which you can get FREE from the Sale-a-bration catalog with a $50.00 purchase! 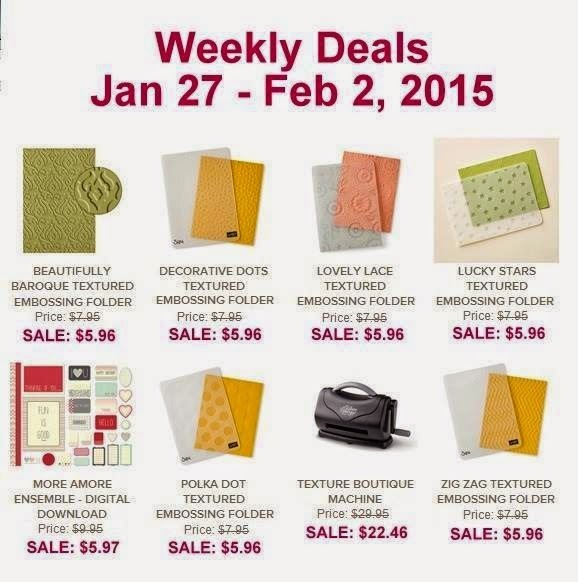 There are some fun deals here...check it out! This simple card is stamped on Whisper White cardstock and then matted onto a piece of Stacked With Love designer paper. I it was designed by SU as inspiration for us and I just LOVE it! It's simply elegant! As always...thank you for stopping by! Hope to see you here again tomorrow! !